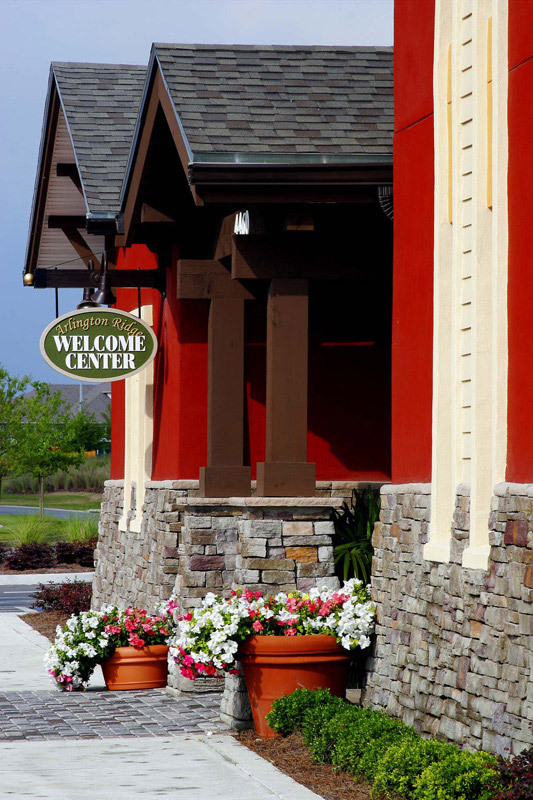 Arlington Ridge offers the perfect location for great Florida retirement living. From its location virtually in the heart of the state, it’s easy to reach the major tourist attractions of Orlando and both east and west coasts via Interstate highways and Florida’s Turnpike. Closer to home you’ll enjoy fishing, boating and other outdoor recreation on more than 1,000 lakes that dot the region, plus the Ocala National Forest. 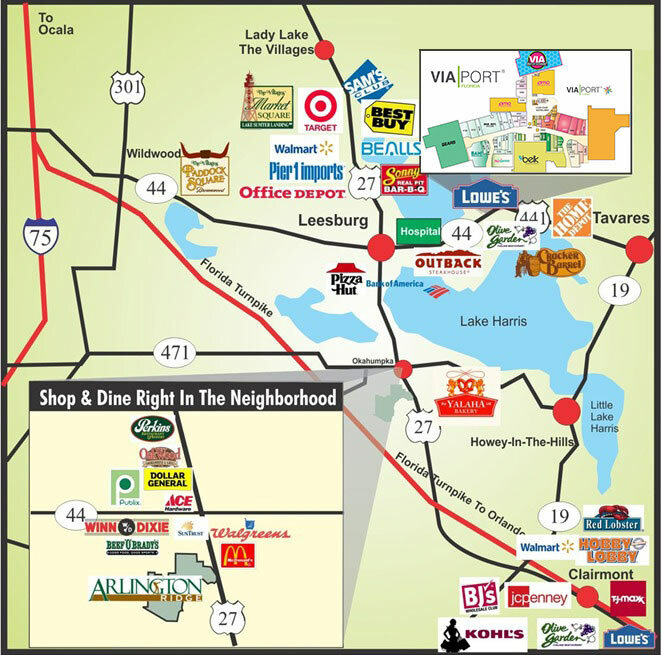 And the conveniences of shopping, great medical care, and entertainment are virtually right in your neighborhood. Enter 4463 Arlington Ridge Boulevard, Leesburg, Florida 34748 in your GPS. From Orlando and Orlando International Airport. ​Take Florida’s Turnpike to US 27 in Lake County (Turnpike Exit 285). Take US 27 North 9 miles to Arlington Ridge’s entrance on left. ​Take I-75 south to Florida’s Turnpike, then south on the Turnpike toward Orlando. Take Exit 296 (County Rd 470), then left five miles to US 27. Turn right 1 mile to the Arlington Ridge entrance on right. ​Take US441/27 south 13 miles to Arlington Ridge entrance on right.